It was another beautiful weekend in the Mountains of Utah. It has been very warm but the wild flowers are bursting in the back country. 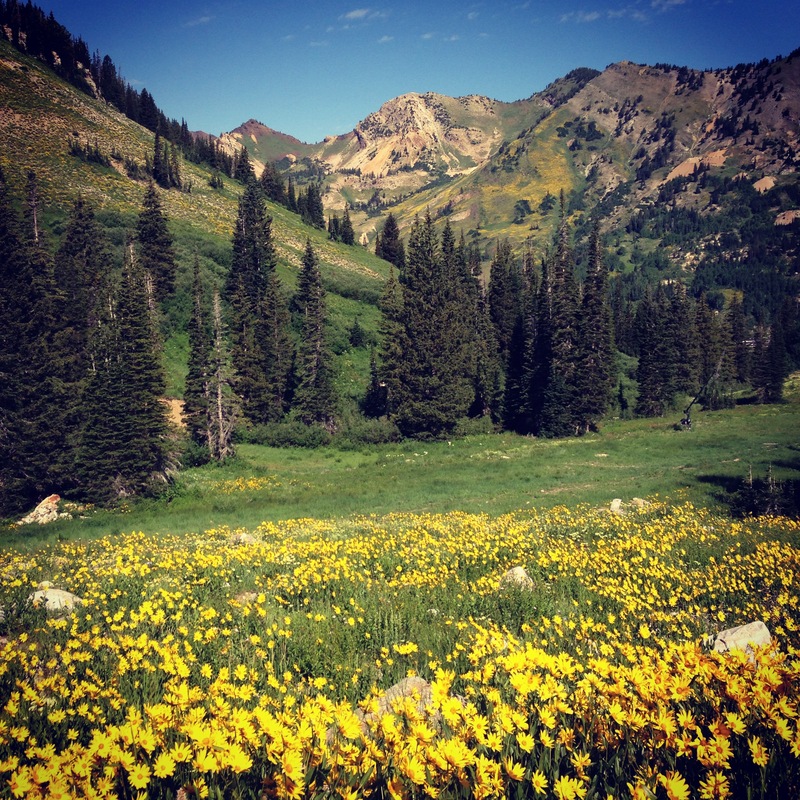 On Saturday I went on a beautiful hike at Alta through the most amazing meadows of wild flowers- pictures do not do justice to the beauty of the scenery. I also made a trip to the farmers market down in Salt Lake where I got some beautiful peaches, fresh basil and other delicious goodies for the weekend. 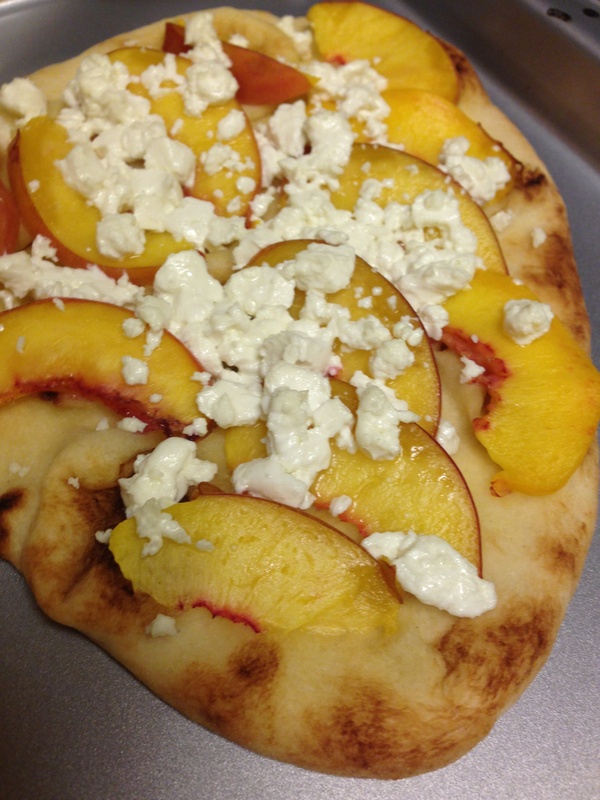 I used Naan as the dough which was a super easy, no bake option to pizza dough, which makes these peach & goat cheese flatbreads the perfect summer appetizer. The sweetness from the peaches and the saltiness from the goat cheese is the perfect refreshing combo that’s ready in no time! Enjoy! Place the two pieces of Naan on a baking sheet and brush them with olive oil, coating the entire top. Place half the peach slices evenly on the olive oiled side of the Naan, sprinkle half goat cheese crumbs over the peaches, repeat on other flatbread. Drizzle balsamic reduction over the flatbreads, garnish with chopped basil ribbons, finish with a few turns of freshly cracked pepper and salt to taste. Slice them up into little bite size pieces and enjoy! 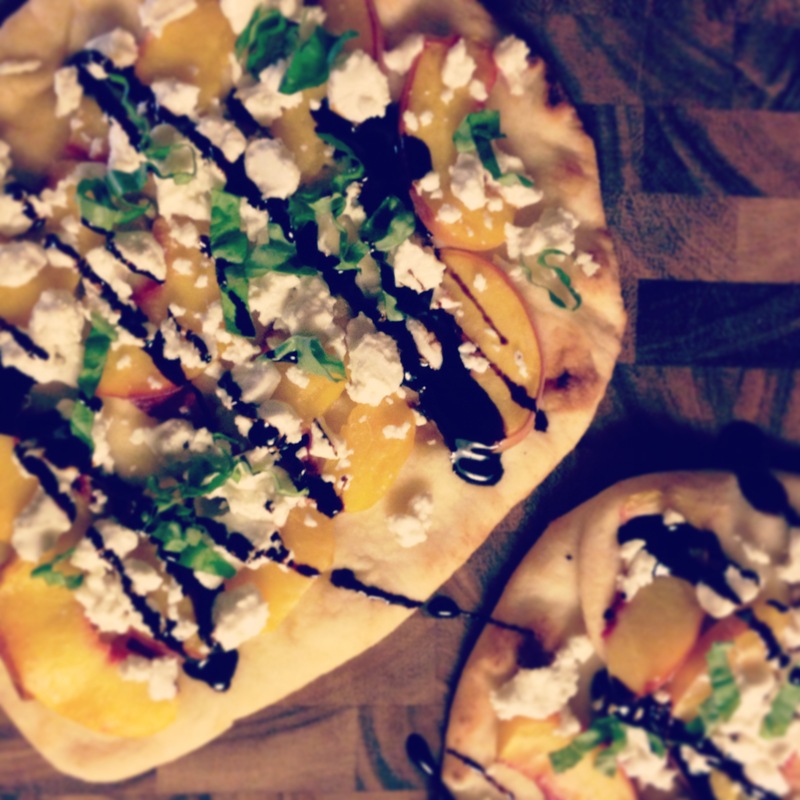 This entry was posted in Appetizers, Recipes, Sides and tagged basil, flatbread, goat cheese, Naan, peach by skibootsinthekitchen. Bookmark the permalink. How about a companion blog called, “From Mr. Hardy’s Kitchen” featuring meals Mr. Hardy prepares?? Great hiking photo!! Hope you guys are having fun! this looks DELICIOUS! I may make this at my next BBQ! Thanks, collegetownkitchen! Its a great appy and a huge crowd pleaser! Enjoy!